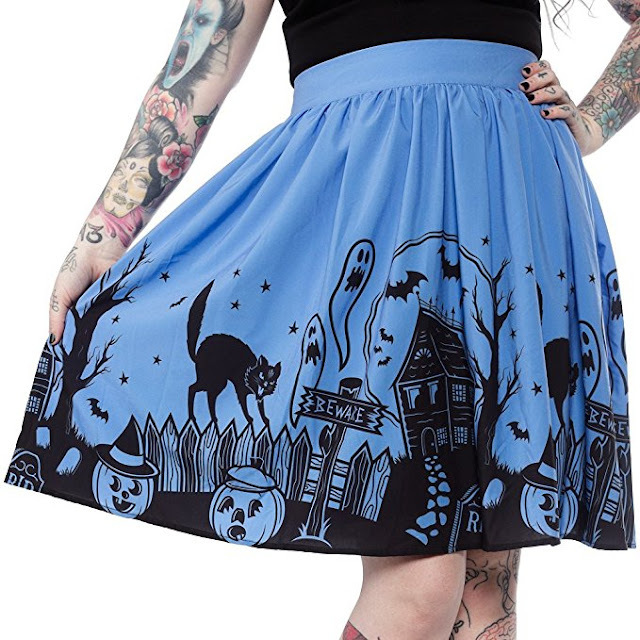 I wanted to show you these darling haunted house themed skirts from Sourpuss! 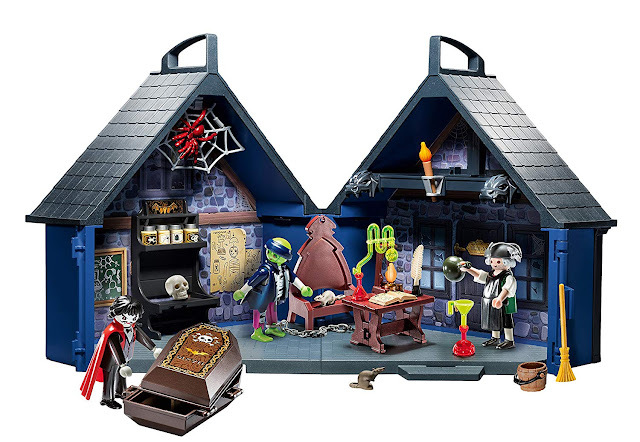 They feature black cats, a creepy house, a few bats, some ghosts, and jack o' lanterns. The first haunted house skirt comes in blue. 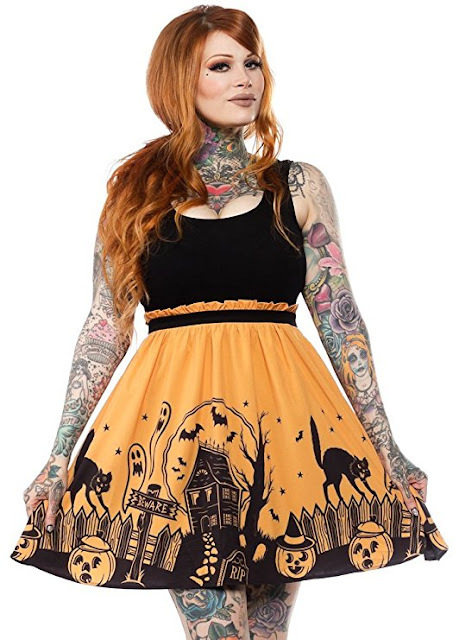 The Haunted House skirt also comes in orange. 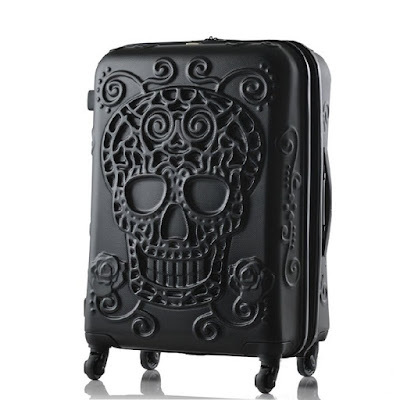 I probably wouldn't wear these on Halloween proper, but definitely in the days leading up to it. I might need a black cardigan on top and leggings underneath to stay warm enough during chilly autumn Seattle days. 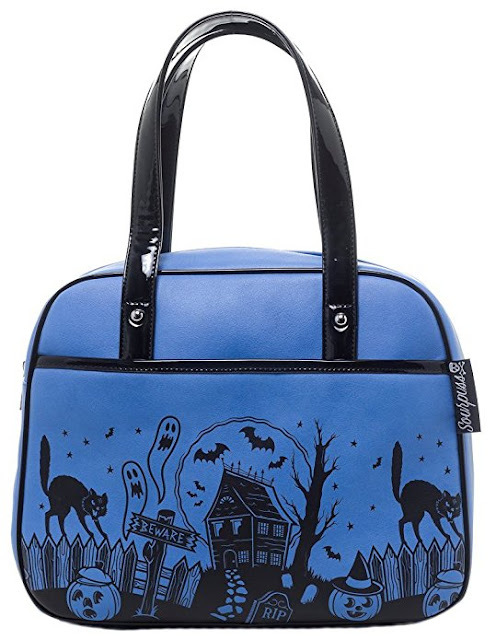 If you chose the blue haunted house skirt, here's Sourpuss's matching blue bowler haunted house handbag too!